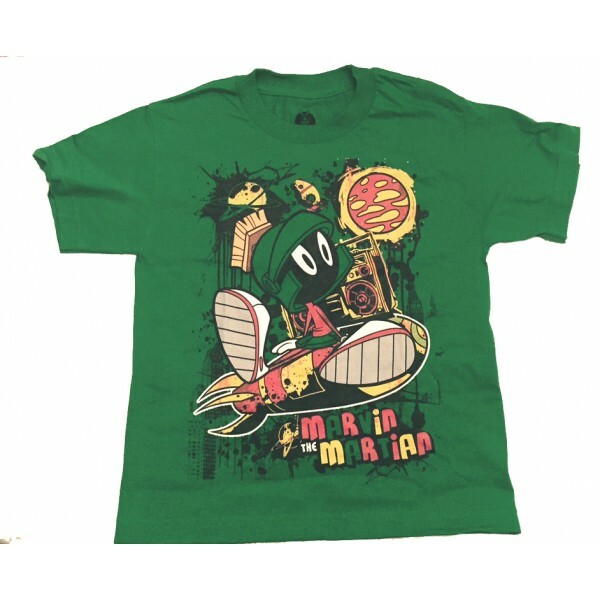 This colorful green t-shirt features Marvin the Martian on is rocket ship! Shirt is 100% cotton and comes in youth sizes. This colorful green t-shirt features Marvin the Martian on is rocket ship! Shirt is 100% cotton and comes in youth sizes. Please refer to our size chart below for shirt dimensions.